The best introduction to seaweed! 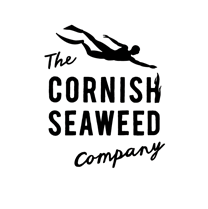 A combination of our Cornish Seaweed Thins, Organic Sea Greens and Cornish Seaweed Salt offers a wonderful range of seaweedy treats for someone special. Our Cornish Seaweed Thins are lovingly hand made by a local artisan baker and are a perfect accompaniment to cheeses, dips or truly delicious on their own. 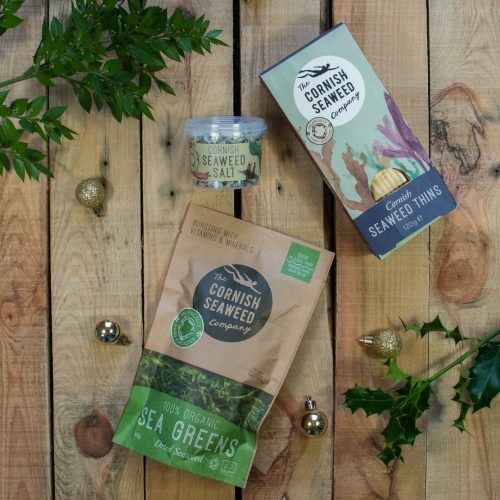 For a health and flavour kick they can swap their regular salt for our Cornish Seaweed Salt which contains a beautiful mix of colourful seaweeds and with a bag of our Organic Sea Greens and some recipe cards for fun there is no excuse for them not to get creating in the kitchen!